it's a new month...which means i have a new wishlist! 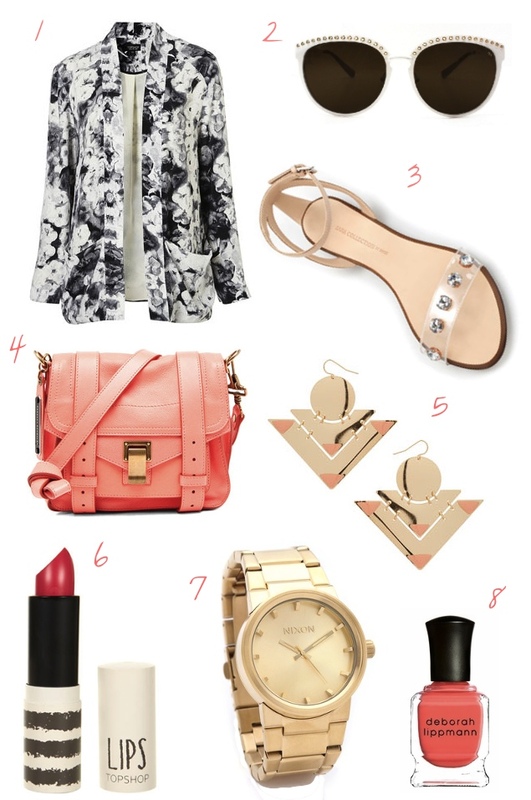 my current obsessions seems to be gold (surprise surprise), floral, white & coral! p.s. you can also find me insta-blogging about my b.f.f's (beauty.fashion.food) so come find me on instagram (@herimajination)! oh! and if you haven't entered the mint cut-out top giveaway you can enter here. It pays to see other bloggers' blogroll. I've just discovered your blog and am blown away by the beautiful photography and outfits. I'm still working my way back to your previous posts. i hope you enjoy the my blog and come back time to time!! your taste is impeccable. Gosh, now there's a bunch of stuff I want now aEESH! I LOVE coral!! yea i liked the jacket because the floral was subtle.